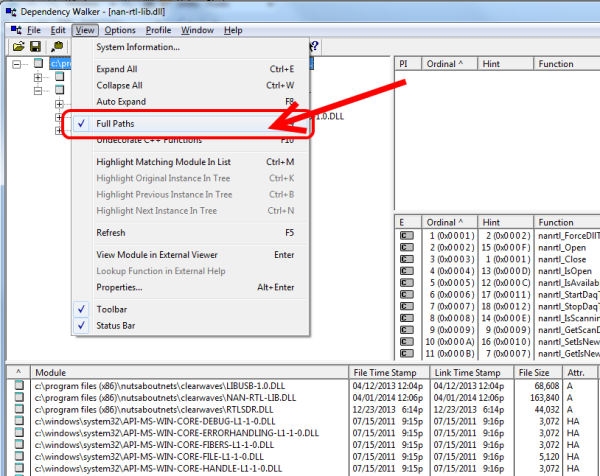 Depends.exe (Dependency Walker) is a software tool that scans Windows modules (e.g. DLL files) and builds a hierarchical tree diagram of all dependent modules. It is useful for troubleshooting system errors related to loading and executing modules. 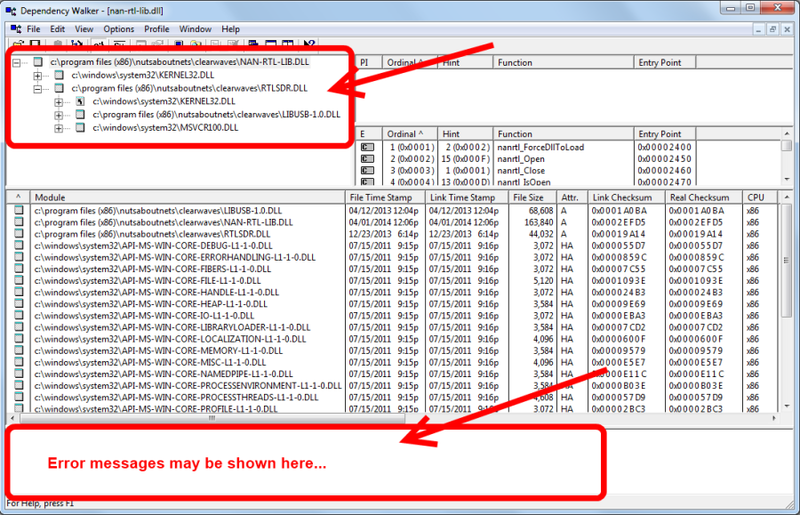 Dependency Walker detects many common application problems, such as missing DLL files. From time-to-time we may ask a customer to use it in order to help track down a problem we can not reproduce on one of our development machines. Depends is used only for diagnostic purposes and is perfectly safe to run — furthermore, it does not install any driver software. Send us a screenshot of the result (to support@NutsAboutNets.com) and please be sure it includes the hierarchical view of the modules and any errors that may be displayed.